Hey everyone! I've got big news. 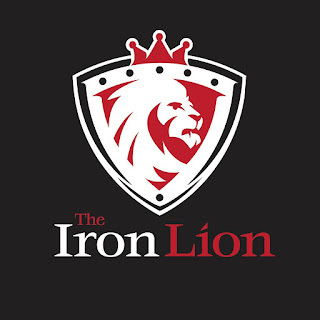 I've joined up with a new card shop in Colorado Springs - The Iron Lion Collectibles. They will be offering sports cards as well as comics, MTG and all kinds of pop culture stuff. How do I fit in? Well, I'll be their official ONLINE BREAKER and blogger. We have started a new Facebook group - The Iron Lion Breakers. We will be doing live personal box breaks, draft breaks, and case breaks all via Facebook Live. Currently we are working on getting the inventory and supplies ready to go, but I would anticipate we'll start breaking shortly after Thanksgiving. The store in Colorado Springs should open around this time as well, if any of you are in the area! If you're active on Facebook, I would really appreciate you stopping by and asking to join the group. I plan on being live a few hours a night, 3 or 4 times a week. With all purchases shipping out the next day. Let me know if you have any questions! Awesome, good luck with the new venture! I've got family in the area... glad to hear another store is opening up. Sounds like you're moving up in the collecting world! Hopefully this will end up being a successful venture for not only yourself, but also for the new shop as well. And to think you guys are giving us all a free Triple THreads case break just for being your friend. Thats sweet. Good luck not ruining your retirement fund with all the goodies around you. Congratulations! Busting boxes sounds like the perfect job.